Born in1898; Mohan Singh Oberoi was the founder of EIH Limited, the parent company of The Oberoi Group, India’s second-largest hotel company, with 35 hotels in India, Sri Lanka, Nepal, Egypt, Australia and Hungary.. He was the son of a contractor and grew up in a small city of Bhaun, Punjab with some 8000 residents, which is now a part of Pakistan. He completed his schooling from the Dayanand Anglo Vedic (DAV) School in Rawalpindi and had also began studying law, which he left half way and began focusing on his career. He got married at an early age of 20 to Ishran Devi who was just 15 from whom he had two son’s Tilak Raj & Prithvi Raj Singh and two daughter’s Swaraj & Rajrani. Now most of us would already be aware that; Oberoi Group was the prodigy of the great “Mohan Singh Oberoi”, but what many are unaware is about how did the brand actually begin and went on to become one of India’s leading Hotel chains. Let’s tell you their story! Mohan Singh’s father died when he was just six months old, leaving his family very limited resources to survive on. Hence, Mohan Singh decided to drop out of his studies and began working in his uncle’s shoe factory in Lahore, India (before Partition) as a manager in 1918. But that got shut down within a year itself due to widespread riots across Amritsar, forcing to leave the job and comeback. Later in 1920, he returned home and got married to 15 year-old Ishran Devi. Soon after that, the situation around his workplace had also calmed down and the factory had also reopened. He was very keen on going back but he just killed all his options of working at the shoe factory by shaving off his beard (which was considered to be highly offensive in Sikh culture). The whole family also cut off ties with them. Now fortunately or unfortunately; at the same time, an epidemic broke in his village and he was forced to flee from there taking his wife and his just-born daughter. He took shelter in Shimla and took up a job at Cecil Hotel as a manager where he managed to get INR 50 /month. In the year 1927; Ernest Clarke, the then manager of the Cecil Hotel, was offered a 1 year contract to manage their Delhi Club. He asked MS to join him there, to which he gladly accepted. Within 5 years since the birth of his elder son Tilak Raj (Tikki), Prithvi Raj Singh, PRS (Biki) was also born in 1929. In the same year, MS followed Clarke to the run a 50-room Carlton in Shimla. 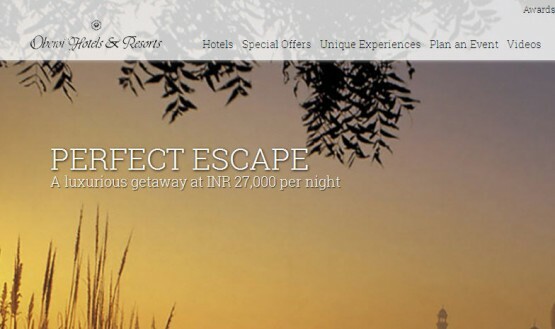 Clarke had leased it from the bank for INR 9,000 a year and renamed it Clarke’s Hotel. Now the year of 1930 began with pleasant news when Clarke made MS his partner at Clarke’s. And soon MS convinced Clarke to buy out the property instead of leasing it. The deal was made possible by lending INR 135,000 from the Delhi contractor Sardar Bahadur Narain Singh (who built The Imperial in Delhi). Soon the business picked up far more than they had imagined but at the same time the debts began to mount too, as the lease of the Carlton had also come with the struggling Grand Hotel in Delhi. In 1933; Clarke was in big financial mess and the mastermind – MS had come up with a plan to save the hotels. Soon after that, Clarke died and followed by that MS bought his shares from his widow for 20,000 rupees. 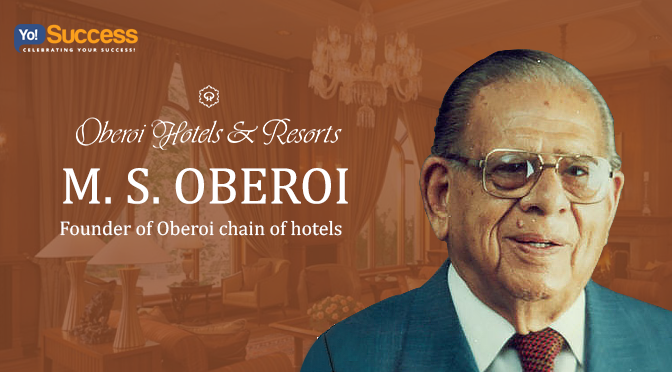 With a blink of an eye; M. S. Oberoi was the sole proprietor of Clarke Hotels in Delhi and Shimla. And from here onwards started the legacy of The Oberoi Group! In the next few years MS paid back all the loans which were pending on Clarke’s, and at the same time by sheer luck, he also got offered the Grand in Calcutta (Owned by Armenian real estate tycoon – Stephen Arathoon) which was in a state of decline. MS very intelligently negotiated with Mercantile Bank (liquidators of the estate of Stephen Arathoon), to reduce the lease of the Shimla hotel. They agreed to it but on one condition that a European manager be appointed; which gave entry to his former employer at the Cecil — DW Grove. To add to that; the former two along with Shiv Nath Singh (owner of the Palace Hotel, Karachi, Katchand Kapur) and Dr Hari Ram, together with an investment of INR 25,000 each formed Hotel Pvt Ltd in 1938. In 1943; MS was presented with a prestigious title of Rai Bahadur by His Majesty the King. That same year, MS also took over the Associated Hotels of India chain and rented Delhi’s Hotel Imperial. This was followed by the purchase of the Grand for INR 89 lakhs, and then paid-off Kapur, Dr Rim and finally Shiv Nath. And with that the Oberoi clan began leaving its footprints everywhere possible! – At first; in 1947, they opened their Oberoi Palm Beach hotel which was followed by the initiation of a travel agency called – “Mercury Travels” by his elder son Tikki and his friend Ripu Bhagat in 1948, but eventually sold it to his sister Swaraj and her husband Gautam Khanna. – In 1949; MS registered “The East India Hotels Ltd (EIHL)”, which was named after the East India Company. Later he merged all the hotels that were under his wing with EIHL. Now although the company was public, there were just a few subscribers: MS himself, his son Tilak Raj, Motilal Khaitan, Ripu Bhagat, N Haksar, E Brett and Man Singh. – The year 1951 saw the purchase of another Arathoon hotel in Darjeeling, the 65 room Everest Hotel which was followed by the dissolution of the partnership of Hotel Pvt. Ltd in 1952. – In 1955; for a fee of INR 5,000/month, MS leased for the former Palace of the Maharajah Hari Singh next 20 years, which had been empty for nearly a decade! – After achieving that, in 1956 MS bought the Swiss Hotel opposite Maidens, it once used to be the residence of Lord Curzon, and was now owned by the Chunamals. – All the joy and contentment the Oberoi’s had achieved in such a short while, came to a standstill when Sardar Bahadur – the landlord of their “The Imperial” hotel in Delhi, out of jealousy dragged the group to court to reclaim the property back. He did that because when rented out every corridor to shops at the hotel, MS ended up making more money per shop than he needed to pay for the lease of the whole hotel. This infuriated the landlord, and thus the demand. MS didn’t care much and very smartly removed everything from carpets, cutlery or porcelain, linen, paintings, chandeliers, furniture, along with every damn bathroom fitting and gave it back as he had received it and ended the deal. – But happiness again knocked the doors of the Oberoi’s in 1959 when Biki (his younger son) married Goodie (daughter of a Punjabi landowner of Lyalpur) and soon after that he formally joined the family business for good. Till before then, Mohan Singh had sent him across the world to stay in the best of the hotels and learn their techniques. – Now that his other son had also entered the business; the year of 1966 saw quite a few great achievements! As a first, MS got into a tie-up with ITT Sheraton to build a new 34 or 36 storey hotel on an expensive plot of land in Bombay, which saw the daylight in 1973 and was built at a cost of INR 180 Million. Also, in the same year itself; to promote the industry and to fill the gaps, Oberoi started a hotel management school in India. He made the famous and well renowned Intercontinental’ F&B manager — Sven Jorgensen in-charge of the school. The school saw thousands of applications every year for the 300 seats they had rolled out. – In 1969; the group took its biggest leap by entering the international arena with the purchase of “The Kathmandu Soaltee Hotel in Nepal, which was till now owed by the Prince of Himalaya, the uncle of King Mohendra. Along with that; Oberoi’s also took over the management of Singapore’s Imperial Hotel. – Within the next 2 years the chain expanded to Mena House in Giza, Egypt as well but because a substantial sum of money was needed to be spent to restore it, instead of pitching in any capital, the Oberoi’s guaranteed a 6% ROI (Return on Investment) to the owners. – Between the period from1973 to 1978; the Oberoi’s also expanded to other locations like “The Lanka Oberoi – Sri Lanka”, won the bid of “The Windsor – Australia” & “The Bali Oberoi, Bali”. – Till now everything seemed to be going great and their business was spreading like fire but what took everyone by a shock was the unfortunate demise of their elder son Tilak Raj (Tikki) in 1984. The whole family was shattered with news but at the same time, there was a huge responsibility that needed to be restored soon as well. Hence; considering all these factors Mohan Singh passed on the responsibility in the hands of Biki and asked him to take over the position of the CEO in 1984. And Building up on his father’s legacy, Biki accelerated the Oberoi chain to greater heights, capitalizing on every opportunity that popped on his way to success and made the ‘Oberoi’ brand we see a well-renowned product of sheer class and panache. Coming from an affluent family, Biki had got the opportunity to leverage the luxuries of the world, very few people could boast of. Thus, he used every bit of knowledge and experience that he gained from that, to become one of the leading hoteliers in the world. – Just when everyone was getting back to normal after Tikki’s demise, in 2002, the whole world came to a shocking standstill when Mr. Mohan Singh Oberoi – the father of Indian Hotel Industry passed away at the age of 103. And with that India lost a legend, one of its greatest prodigies ever! Since then, Biki has taken over the position of Chairman of the group and continued his voyage to success. For added assistance; he also extended his team by including his son, Vikram Oberoi and his nephew, Arjun Oberoi (son of Tilak Raj) as Joint Managing Directors. Under his leadership, the group has been able to touch a total revenue worth INR 1142.95 crores (2011). They have grown on to become the proud owners of 29 luxury hotels and 2 river cruise ships in five countries under the luxury ‘Oberoi’ and five-star ‘Trident’ & Maidens brands. And are also considered to be one of the most decorated hotel chains of the lot! The Group has also expanded itself into flight catering, airport restaurants, travel and tour services, car rentals, project management and corporate air charters. The founding family currently own 35.24% of EIH (the parent company of the Oberoi Group). Other than that; ITC has a 16.1% stake and Mukesh Ambani’s Reliance Industries Ltd (RIL) which bought a 14.12% stake in EIH by paying INR 1,021 crores to put a halt to the unwanted pressures that were being built by ITC in 2010 now owns 18.5% of the company. So far the hotel chain in its domestic arena directly competes with Hilton hotels, Hyatt hotels, Marriott international & Taj hotel.